We've just released a small patch for Standalone Backup for Mac - v 2.8.1.14 (not for Managed Backup). 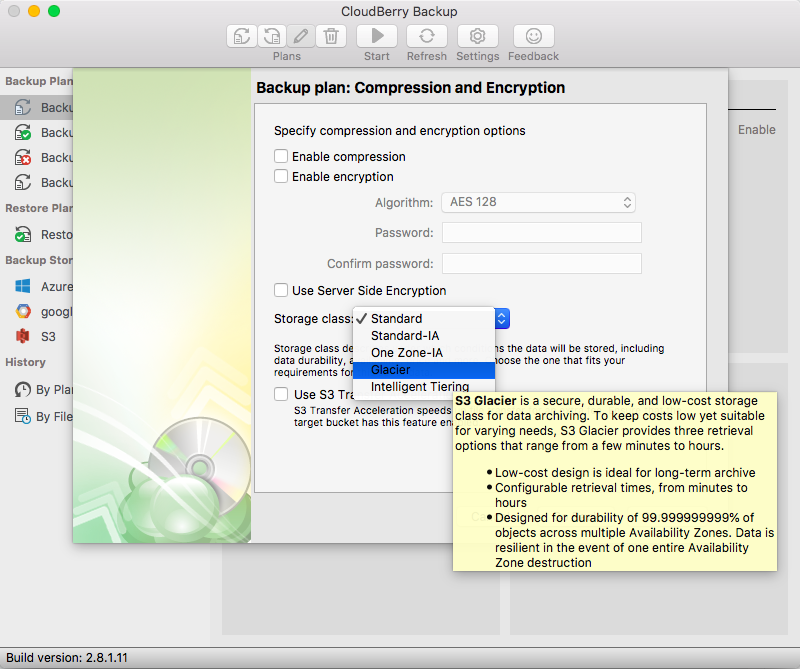 Backup for Mac can now upload directly to S3-Glacier or any other storage class. In GUI: hovering the mouse over a storage class inside the list shows a tooltip with some info about the storage class (extract from Amazon documentation).